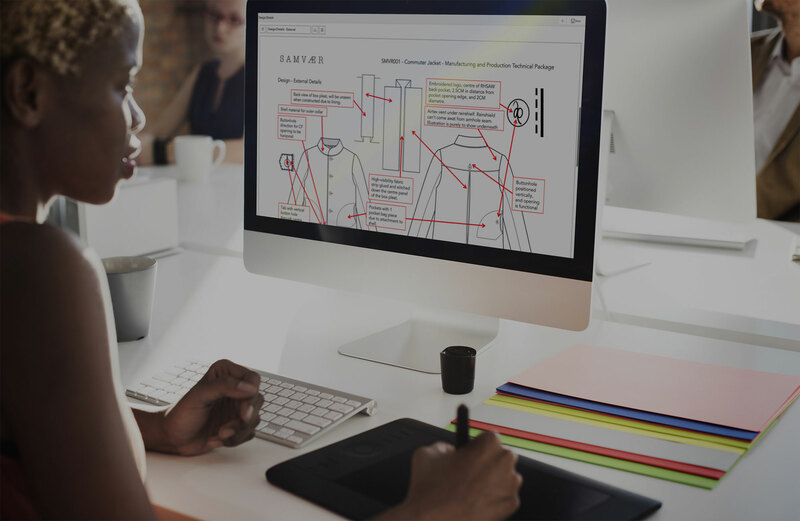 We're Designers, Buyers, Product Developers, Technologists, and Merchandisers, just like you! Our system is built by industry professionals that are still working within the consumer goods/product design industries today. We want to remain relevant and up to date on the latest, in order to give you what you need, when you need it. Check us out for yourself, and come meet the team! 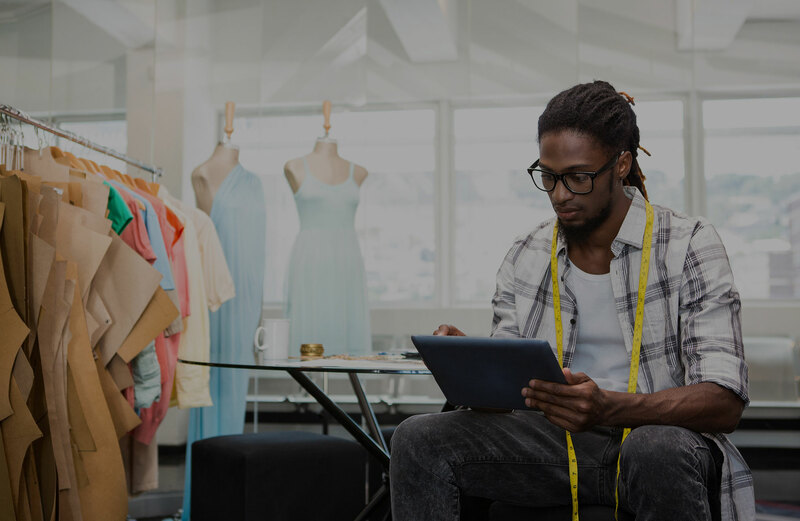 Bombyx PLM provides Product Lifecycle Management software for the fashion, footwear and accessories industry. Designed by product people for product people. 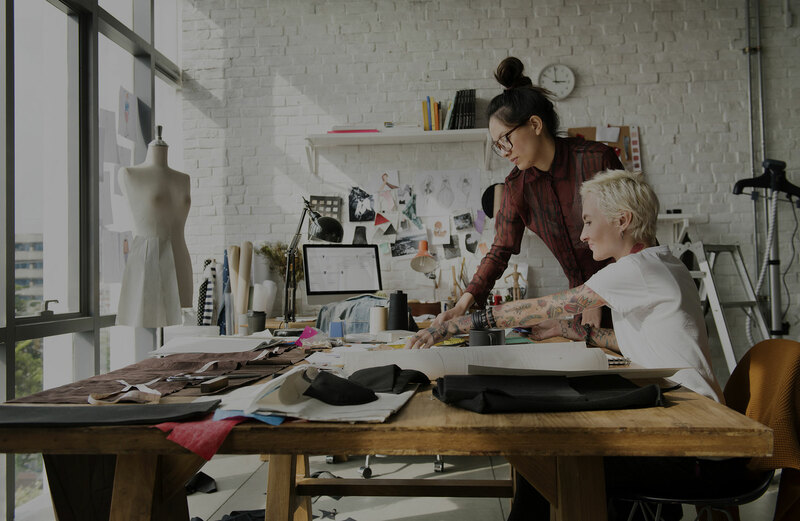 With sleek UX and UI Bombyx will aid and streamline businesses of all sizes allowing them to manage every step of the process efficiently from beginning to end of a product lifecycle across multiple lines. By combining core PLM functions with industry specific UX and UI, Bombyx offers a platform that is intuitive to use whilst providing business insight and project transparency. We went live in April 2018, and have been further developing the system since! We're anywhere you are, with an internet connection. We're a web-based platform, making it simple to take us with you, everywhere! However, if you are referring to our HQ, you can find us in the county of East Riding of Yorkshire, at the C4DI building in Kingston upon Hull. 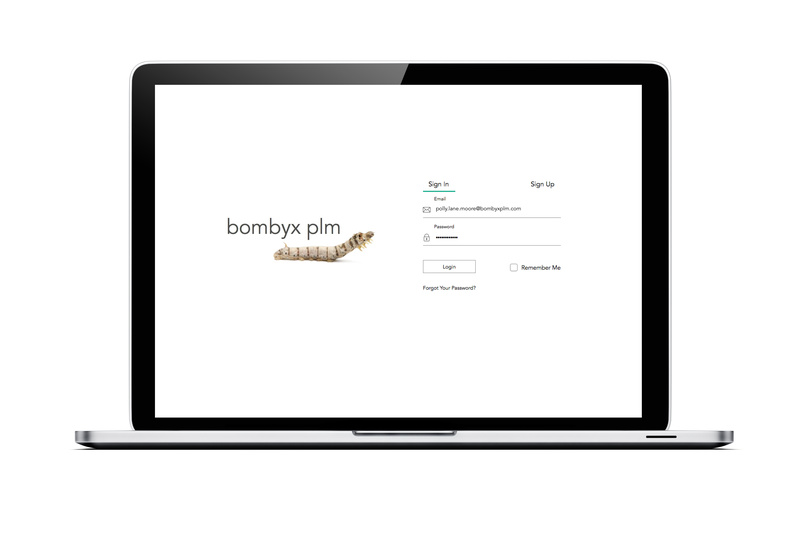 We know the struggles of being in a mire by admin, which is why we developed Bombyx PLM in the first place! We were sick of the playing field not being equal, and the luxury of softwares to aid product development being only available to companies of a larger scale. We've scrapped that notion, making affordability a key factor in our setup, along with being user friendly and design led... if it isn't simple, we don't develop it. We want company employees to be able to enjoy focus on the job they qualified to pursue, and aim to eliminate the additional role of glorified admin as much as we possibly can! Want to know more? Take a look at our products, or contact us for a demo and free trial. Store your colours, materials, prints, trims, labels, packaging, care label info, and testing requirements all in their own library or group to ease the pain of manual entry. Our grading library allows you to apply different gradings to your products. Comment on your samples, and amend your styles for sample resubmission or approval to production. Integrated or not, Bombyx allows you to negotiate the cost price of your developments with your supply chain, keeping all your information in one place. Raise your orders via the system, with your negotiations and general information being automatically transferred through. Ease the pain of communication by onboarding your supply chain. See the full history of your developments and orders, to analyse more in depth about your products lifecycle. Bombyx PLM is a cloud based software for industry professionals that would like to work more efficiently, with a reduction on their administrative tasks. We help businesses of all shapes and sizes keep on track of their life cycle management of their products, aiding them to store and work on their technical information for their supply chain to collaborate on. Bombyx allows you to form your technical packages, clearly and consistently every time. This allows your suppliers to be able to deliver your samples, and develop them through to production, keeping everything on track, and within a timely manner. No software needs to be downloaded to use Bombyx PLM. We are a cloudbased system that only needs access to the internet in order to work. You will need to insure you are using one of the following web browsers. All these browsers are the latest versions as of December 2018 and are freely available. Unfortunately our system is not supported on Windows Explorer current versions or otherwise. 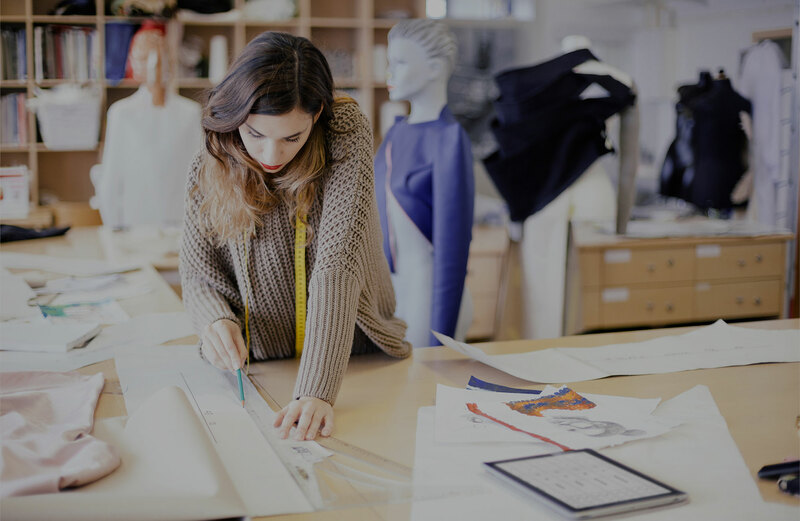 Apparel, footwear, and fashion accessory brands/retailers, and garment suppliers are our main customer base, but in the future we will be growing into other product areas. What features does Bombyx PLM include? If you select 'features' from the menu bar about, you'll see a list of some of our main features, and below are the rest of our available primary features. As well as what is available, if you scroll further, you'll also see what is coming soon to Bombyx PLM. Approve or reject your components in your tech packs and take that approval over to another development with the same item(s). Whether you have various brands and clients, or a diverse range or products, We provide templates for specification charts and purchase orders** to ease your admin. Submit your techpacks in PDF format by combining all your production documents and other items for easy reference to your team and supply chain. Integrated or not, Bombyx allows you to negotiate the cost price of your developments with your supply chain, keeping all your vital information in one place. Raise your orders via the system, with your negotiations and general information being automatically applied. With the click on a button, see how complete your order is, and what's missing with percentage bars for each section of your lifecycle. Invite or apply yourself to developements and orders and receive information on changes and approvals, with reminders of upcoming due dates. Connect with your team members and suppliers via the forum to communicate about your developments and orders. See the full history of your developments and orders, to analyse more indepth about your products lifecycle. Upload your company manuals and documentations for easy access, reference, and preview for your team and supply chain. Organise your supply chain with an orderly tab system, with all their info easily accessible. Convert your measurements from CM to Inches, and vice versa. Reorder a selling style, with the option to add new colours, and amend any details you want to change/improve from the last order. Adding factory details under your suppliers to have a complete overview of your supply chain. For easy system setup, upload all your items together by uploading your excel lists. Quickly create your tech packs, by creating BOM item groups, that when imported, all are added with one click. If I am a brand/retailer, do I have to pay for integrating suppliers/factories? We offer supplier integration, free of charge when signing up to plan 3 in our pricing plans. At present, plans Larva and Pupa do not provide the ability to integrate your supply chain. Supplier factories can sign up to manage their products, but at present we haven't designed it around suppliers being the main account subscribers. This is something we will be developing in the future. 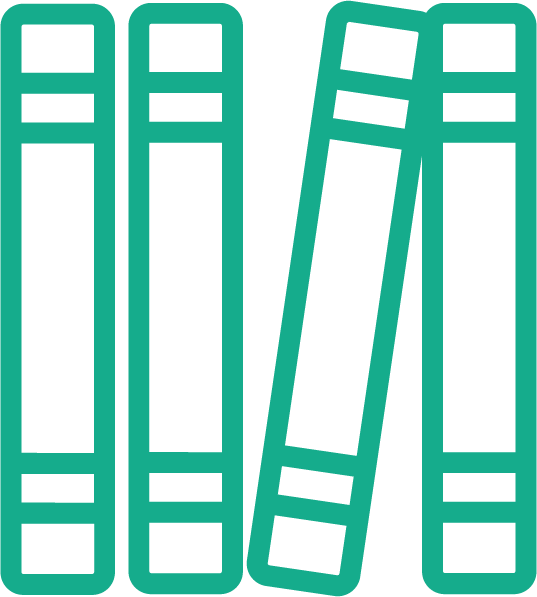 Are you available to eductional institutions? Absolutely. We love education, and would be happy to onboard educational institutes to contribute towards the learning of our future industry game changers. Will Bombyx PLM really save me time? Absolutely! It's more than likely, if you're looking here that you're currently working between various software systems, and this method can slow you down due to the general switching between systems, the multiple admin entries, the lack collaborative methods, as well as other reasons. With Bombyx, all of your development and order information is together in one location. You're able to communicate with your team and suppliers, share design files, BOM items, specifications, care and testing components, and more. At present Bombyx PLM doesn't allow account customisations, but be assured that a lot of our features can be turned off if not needed. Can I integrate Bombyx PLM with another system? Sure! To let us know about your specific requirements, you can go to 'Contact' in the menu bar at the top of the page, and enter your company needs to us there, or you can drop us an email to 'info@bombyxplm.com'. Privacy and security are at the top of our list, and we assure you our servers are monitored 24/7 to ensure the safety of your product data. Can I access my work from anywhere? You can access your Bombyx account wherever you are, and whenever you need it, as long as you have an internet connection. You do! We are a service provider to help you with your data consolidation and workflow efficiency. Your work is yours, 100%. Why is Bombyx PLM so inexpensive? We believe PLM should not be a luxury, and that companies of all shapes and sizes should be able to afford technology to aid their daily business, becoming more efficient, and reducing their administrative tasks. Can I try Bombyx PLM free before commiting to the service? Of course! We offer a 30 day free trial for all customers to check out whats available to them prior to purchasing one of our plans. Click on 'Contact' to send us a request, or email us on 'freetrial@bombyxplm.com', and we'll get back to you, and book in a demo and free trial. What will happen when my free trial is due to expire? Across the top of your platform will be a red bar, with the information as to how long you have left before the expiry, and instructions on where to go to purchase the plan you'd like to subscribe to. Yes, contact us via our contact section on our landing page, or drop us an email to 'trainings@bombyxplm.com', and let us know your needs, and we can discuss the requirements from there. What happens to my payment plan if my system user quantity increases or decreases? You will not be able to exceed your max user limit. If your company exceeds its limit, your admin account holder can change your plan to a higher tier package, or if at the highest plan, you can contact us via our landing page, or drop us an email to 'info@bombyxplm'. If you go need to purchase a lower priced plan to your current plan, you can follow the same process. Please note by lowering your plan, you may lose some features that are specific to the current plan you're on. How do I change my current payment plan to a different one? When in your company's platform, your administrator can go to settings, and select plan management. From there they can select a new plan to purchase and a popup with two options will appear. The administrator can either change the plan from that date, or they can select the option to apply the change after the current plan expiry. How do I cancel my subscription with Bombyx PLM? If you selected auto-renew when purchasing your price plan, you can turn this off in plan management under settings, and the plan will then expire at the end of the month/year, dependent on which duration you selected when purchasing. If you didn't select auto-renew, you don't have to do anything, and your plan will expire at the end of the month/year, dependent on which duration you selected when purchasing. The answer to my question isn't here. Where can I find it? You can go to 'Contact' in the menu bar at the top of the page, and enter your message to us there, or you can drop us an email to 'info@bombyxplm.com'. 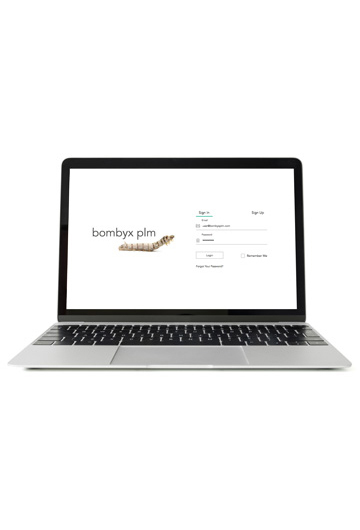 If you can’t find what you’re looking for on our site, or have a question or query, get in touch and we’ll give you everything you need to know about Bombyx PLM.